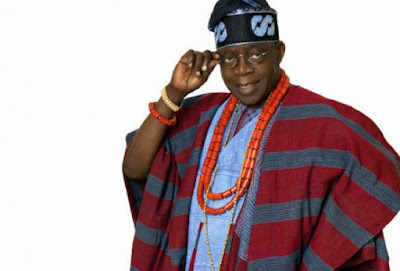 The All Progressives Congress chieftain, Bola Tinubu, has again stated that he indeed said he was richer than Osun State during the run-up to the Osun State governorship election last year. This comes months after Tinubu’s media team had claimed the APC chieftain was quoted out of context. Tinubu had during the countdown to the Osun governorship election last September, paid a visit to the Ataoja of Osogbo, Oba Jimoh Olanipekun, where he boasted that he was richer than Osun State. While addressing party faithful ahead of the postponed Presidential and National Assembly elections in Lagos last Thursday, the former governor of Lagos State said he indeed made the statement but he did not know he was being recorded. The APC chieftain also boasted that President Muhammadu Buhari did not possess the kind of money he can steal, adding that he did not even need to go to the Government Secretariat, Alausa, before he could get money. He said, “They insulted me and said I used my mouth to speak anyhow. However, that rough-handedness paid off in Osun. They claimed that we brought candidates from Lagos to become governors in Osun; people like (Rauf) Aregbesola and (Gboyega) Oyetola. “If we train your children, and they become experts in their fields, won’t we ask them to come home to make things better? How much is your money that I’ll embezzle? You can’t match my pocket. I told them so, and their traditional rulers were seated. Addressing APC supporters on the need to deliver votes, Tinubu said handsome cash rewards await those who can deliver votes for the party. He said he would not make mistakes of the past where people would collect money in advance and not deliver on election day. Tinubu added, “Those of you that say you come to Bourdillon for mobilisation, it is mobilisation that we are doing here or don’t you understand? Definitely, if you know people in your neighbourhood, our members, how we used to do. “They would surround me like the way ants surround sugar but they duped me; calling for mobilisation funds as if they are not all from the same neighbourhood. “For this one, even if your footwear is worn-out, as long as you can deliver on votes, I guarantee that I’ll pay you money that will surprise you. May we not lack!